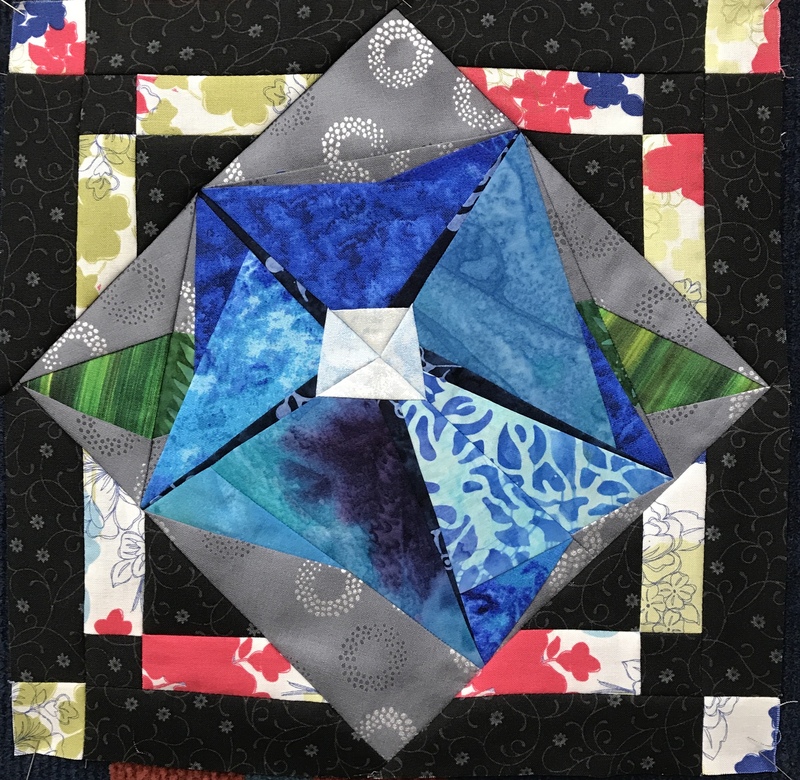 Welcome to the 2019 Block of the Month! The absolute BEST thing about this quilt, apart from is bright colourful layout, is that it is so scrap friendly. You'll be able to use your scraps of homespun, blenders, batiks, and medium to small all over floral prints. 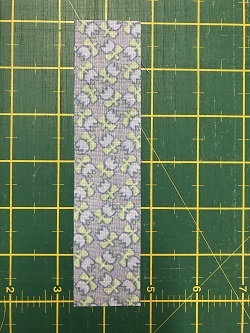 Foundation Piecing is a very accurate method of patchwork, which is especially useful for piecing unusual or awkward shapes and achieving clean lines in your patchwork. It's usually the method used when measuring and cutting the angles of fabric pieces would be almost impossible. Blocks are made up of sections that are completed and then sewn together. Each section has a numbered order in which to sew them. You'll use the printed lines on the paper pattern to sew on and your fabric will be placed on the underside of this. I know if you havent done any foundation piecing before that it can seem a little complicated. I would urge you to find a local shop and have a lesson. The wonderful thing about it is that once you know how, you can literraly apply the rules to any pattern, regardless of how complicated it may look. If you think you'd like to give it a try on your own, there are step by step instructions here from last years BOM project. Just work on one section at a time, beginning at piece number 1 in each section. The pattern which you will download can be printed on to printer paper, light purpose made foundation paper, or traced on to a light weight interfacing. Each works, but its up to you what you like. Note that if you use interfacing, it needs to be light weight as it stays in the quilt. If you would like to give our Foundation pieceing paper a try, use the coupon code 2019BOM at the register for a special discount and choose the "pick up" option for free delivery. Its easy to use, just load it into your inkjet printer and print your patterns straight to it. Cut around the sections and start sewing straight away! You'll have noticed that I have called this posting Part A. 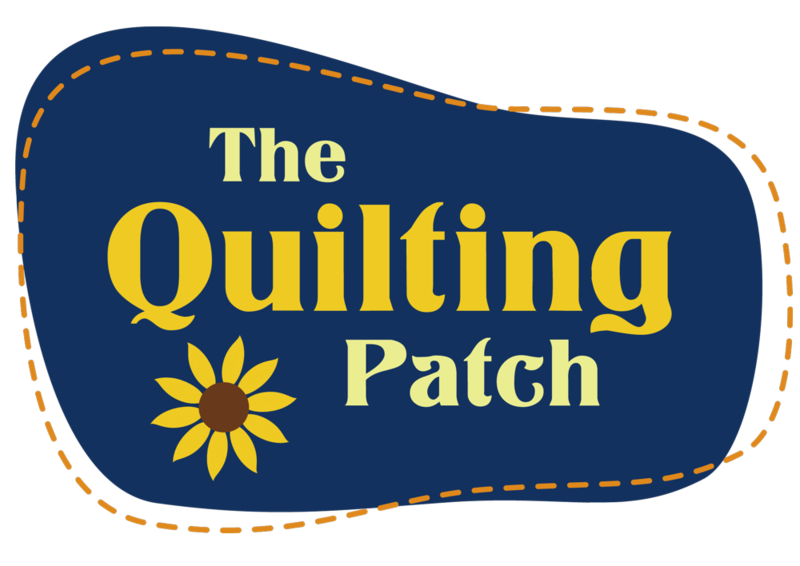 Later this month I will post the compass for the centre of the quilt, called part B. The compass is going to take you a little while to piece, buts its something you could work on over a few months if you wish. 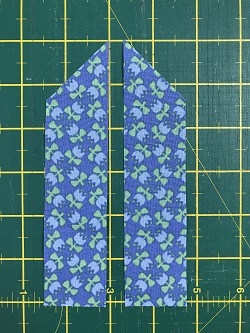 CLICK HERE for this months pattern - the "Morning Glory" block. The pattern is for the flower centre only. The setting triangles that surround it will apply to every block in this quilt and instructions are at the bottom of the page. And here is what the numbering guide looks like. The numbers are printed on your pattern. The framing around the block is a place to use up your floral scraps. The frames are only wide 1 3/8" wide. You use two fabrics to make these setting triangles. 2 5/8" squares Cut 2 and then cut once on the diagonal to yield 4 triangles. 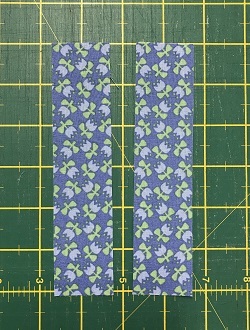 The rectangles in both the black fabric and the floral fabric need to have an angle cut at one end. 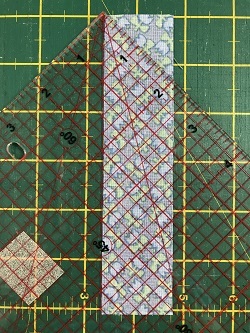 The easist way to make sure that you have 4 matching sets with the angles in the right direction is to place two rectangles right sides together and cut, placing the 45 degree line of your ruler along the long edge of the rectangle. When you separate the fabrics you'll have a mirrored set. The strips are placed on top of each other, right sides together. When you open the fabric pair they will be mirrored. The construction of the setting triangle is quite straight forward. 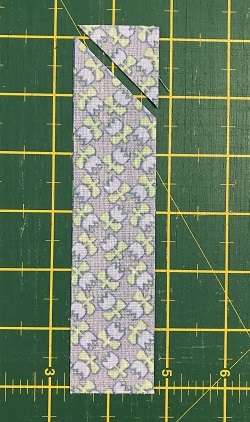 Sew a background square to the end of the other floral fabric strip. The attach this piece to the remaining edge of the half square triangle. Now you just repeat this process using the background strips and the floral square, making the unit larger again. Make four of these setting triangle units and attach them to your completed Morning Glory flower block. And here is the completed block..
Hi there i would like to make your block of the month 2019. Are the patterns for templates cut at the printed size. Are the other remaining blocks done over the next year? The patterns for the foundation piecing need to be printed at the actual size and not scaled. When you bring up the PDF, just click on print and make sure you dont have the print to fit or scale ticked in your printer options.